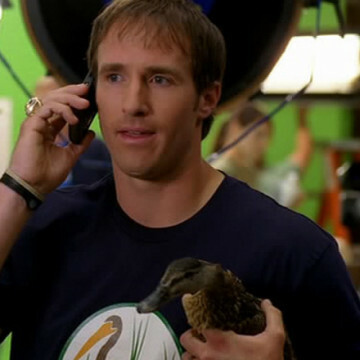 Drew Brees, an American football player, makes a cameo appearance in Entourage’s season seven finale, titled Lose Yourself. He was drafted to the San Diego Chargers in 2001 and currently serves as the New Orleans Saints’ quarterback. Spot Drew on the phone with Turtle near his episode’s eight-minute mark.